Today's post is another featuring my new favourite brand, Fry's. I have already reviewed their meat free chicken nuggets which are suitable for vegans as these are. 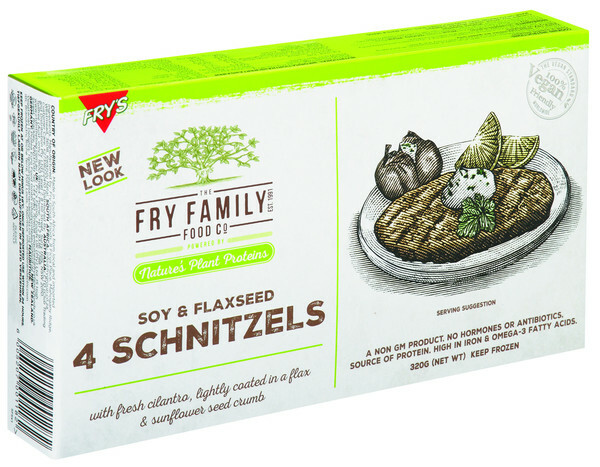 I'm now reviewing the *Fry's Vegan Soy and Flaxseed Schnitzels (£2.99, 320g) which I have been having as part of my lunch after driving lessons and I LOVE them! I thought they would be dry and crumbly, as sometimes Quorn products can be like that, but they aren't at all! They are also super tasty, I don't need anything with them although I do love to pair them with a natural yogurt, dill, cucumber and garlic dip. They are so quick and easy to prepare and are perfect for lunch or as part of a main meal. They are also suitable for vegans so they don't contain dairy. I haven't come across a brand or product range as fantastic as this so I cannot recommend Fry's products enough! Overall rating: ★★★★★, 5/5! Have you tried anything from Fry's?